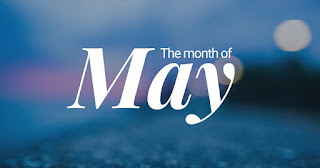 Kritters Ramblings: May - merry month of BOAT! May - merry month of BOAT! So May was a big month in our house, so I am impressed by all the reading I completed during this crazy month. We had a lot go on but the biggest thing that happened was that my husband and I completed the purchase of a boat. We will be becoming boaters this summer and it is fun and stressful to start a new hobby as an adult!